We stock and supply two brands of skin care in our range. See below information on both of these brands. If you wanted an ingredient that promises to tackle most of the common skin issues that surface, peptides would be it. And with 62 different peptides in its formulations, results-driven skin care range HydroPeptide, will effectively rejuvenate, rebuild and address every skin care concern you come across. HydroPeptide is the anti-ageing answer to those who crave younger looking skin without injectables, surgery or intrusive treatments. In 2004, HydroPeptide became the first skin care company to incorporate peptides into every one of its anti ageing skin care products. Now a leader in the field, the HydropPeptide range boats an industry leading 62 different peptides, which are not only specific and active, but also delivered repeatedly for maximum result. (They call it VLR technology, an acronym for Variety, Level and Repetition). Then there’s the addition of botanical stem cells and natural botanicals, which results in skin that is not only plumped and smoothed, it’s also purified, nourished, hydrated and protected against free radicals. Win Win Win! Come in for a consultation with Jill today to discuss your skin problems! 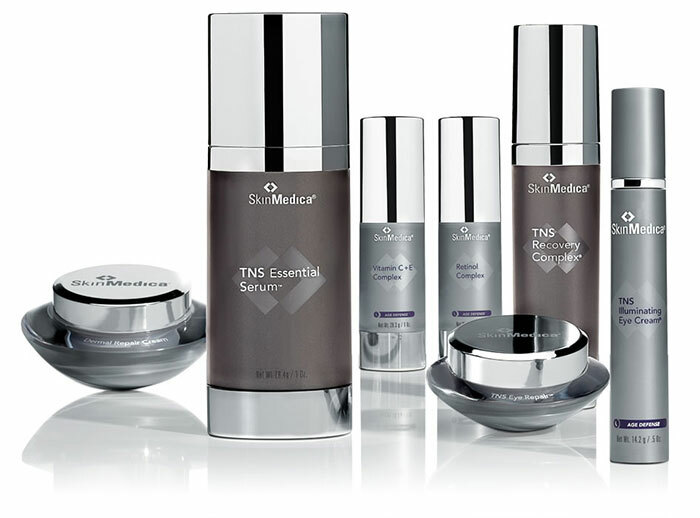 The Skin Medica Age Defense products provide treatment formulas suitable for all skin types and provide the vital components you skin needs to improve the appearance of skin imperfections caused by exposure to the sun, environmental assaults and ageing. Retinoids (Vitamin A): Your new best friend.